A few years ago we had to have only couple of bikinis, one beach towel and maybe a cute straw bag for the summer. But consumerism took over, and now every respectful fashionista can't "survive" even one resort vacation without at least 10 beach outfits, consisting of numerous monokinis, bikinis, accessories and hot sheer dresses and kimonos. Coverups can instantly make your beach outfit look glamorous, stylish and are perfect for pool parties. I also put them on when I feel uncomfortable being in a bikini and want a little bit more coverage. My donut blanket from Shein is so cute and fun that it instantly brightens up any pool or beach party. Bare in mind that it is very light and thin though, so it won't stay perfectly straight on the sand if it's too windy. 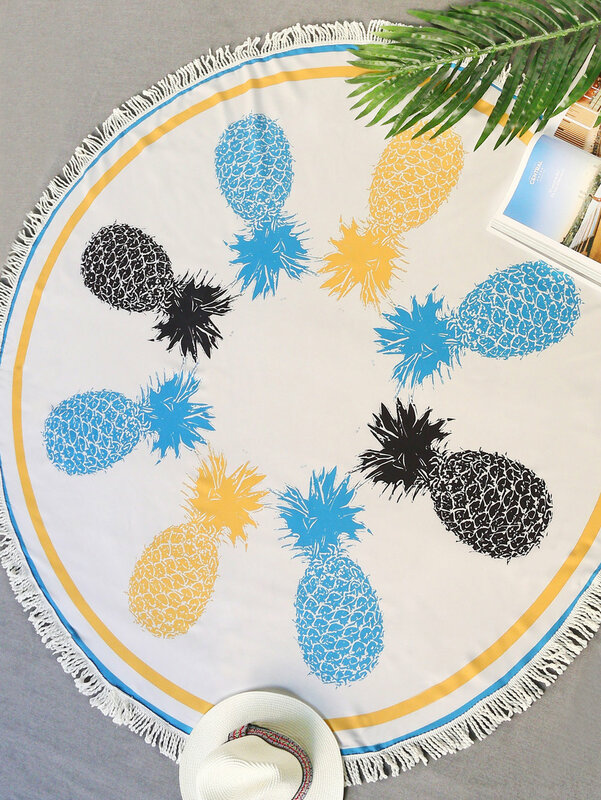 I have linked more of beach towels and blankets for you under $25. Seriously there are so many choices!